Fine family you have there! I am a novice to Ruger Single actions. 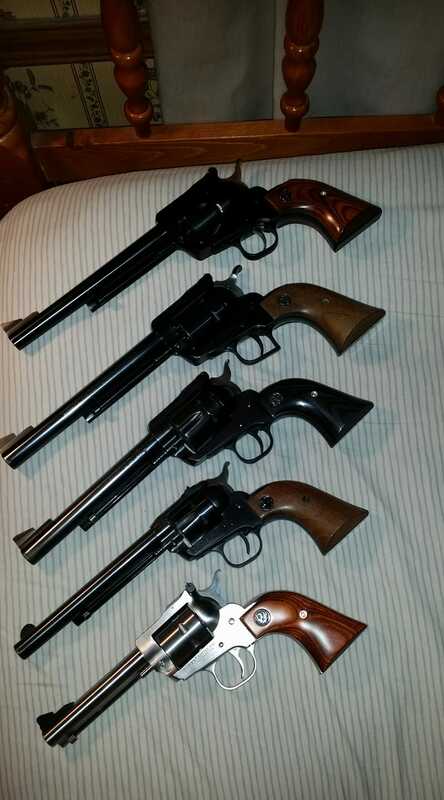 What type and caliber are your pictured revolvers?